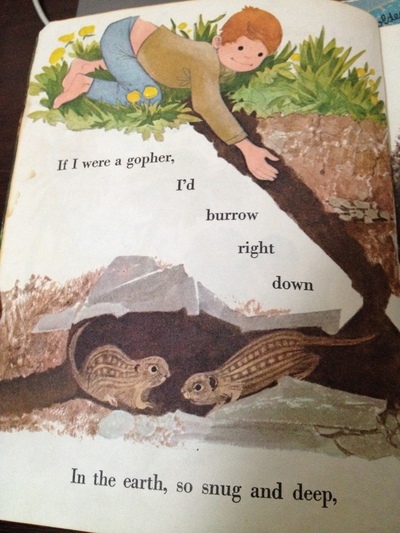 I love Little Golden Books. 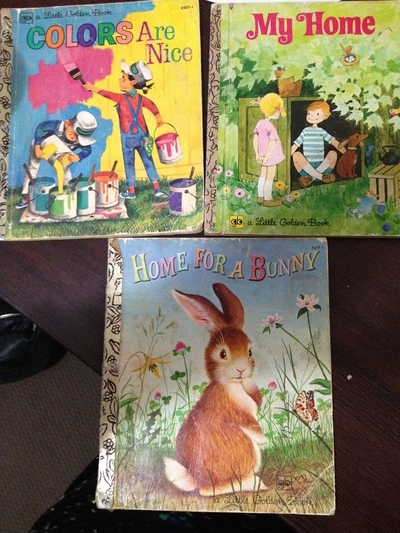 Created in 1942 to be affordable and easy for little hands to hold, they were a staple of my childhood reading. I still have many of mine, and I confess I will buy any that I see in second hand shops for my kids. They are Little Golden Books; you know they are going to be loved. I am going to share my top three favourites – three books that I have had for 30 years and my daughters still love to hear and look at. 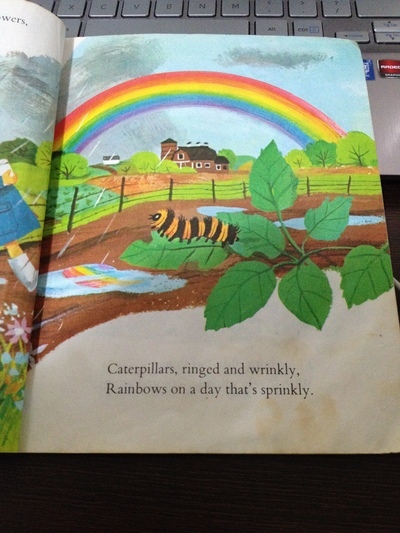 With such an humble title it would be reasonable to assume that this Little Golden Book consists of words and corresponding colours. Not so. The illustrations are bright and dynamic, and the words as lyrical as poetry, celebrating variety and difference, a good book to read after experiencing a new culture or perhaps meeting someone who is different to the people your child already knows. 2. 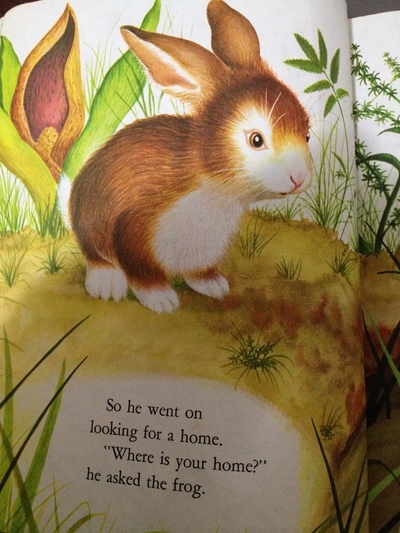 Home For A Bunny – by Margaret Wise Brown. Margaret Wise Brown is arguably the most prolific and imaginative unsung children’s writer of all time – the writer of ‘Goodnight Moon’, she believed in writing for the children, not the parents. This book is about love and belonging, a nice, cozy little book with comfortable, rhythmic variations on simple words, a great first reading book, with beautiful bunny illustrations. So in short, simply because they are a bit dog-eared and tattered, not relating to current TV and available for 10c from Vinnies, don’t discount building up a library of Little Golden Book Memories for your own children, and don’t be surprised when they become more popular than the brand new books you have to spend a good deal of money on! We had heaps of them! When our 2 daughters left them, they took 1/2 each. The eldest daughter now has a 6 & a nearly 2 year old, so has bought a LOT more. Our other daughter hasn’t started a family yet, but is buying them up, like there’s no tomorrow! My husband & I buy all the ones we like from the op-shops. We try & stay away from the Disney ones, as we find these to be too commercial. I have one called "We Help Daddy", which is very cute although quite stereotypical of that era with mother in the kitchen cooking, and father doing yard work. I still love it though! Remember I think I can I think I can? The Little Engine That could. That was a good one. I might have to try to buy that one!